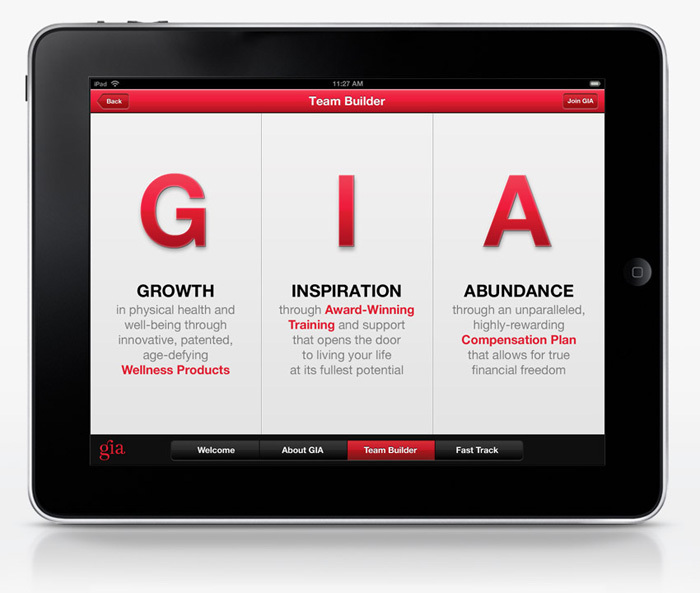 GIA’s Team Builder Suite for iPads is hands-down the most powerful business building tool currently available in the referral marketing industry. 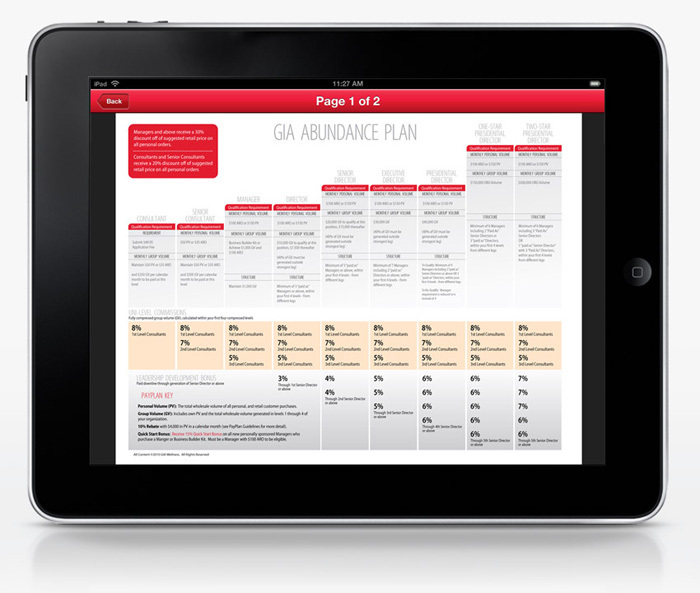 Packed with 50+ videos, PDFs, audio, the GIA Team Builder Suite will make your one-on-one presentations easier and more effective than ever before. Now, with the introduction of the latest versions of the iPad, you can even use the Team Builder iPad Suite with a video projector, and present the GIA business to a full room of prospective teammates! 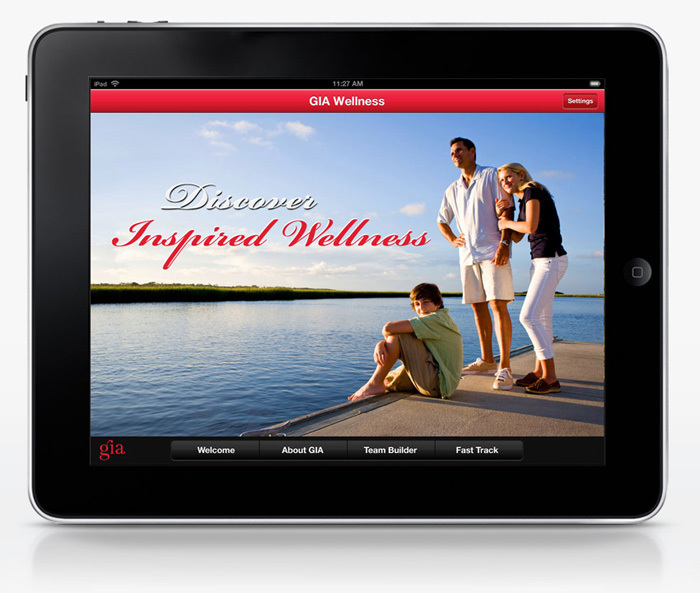 It’s never been easier to share your GIA business than now – with the GIA Team Builder Suite! Audio Files, Product Fliers, Brochures, etc. If you’ve purchased the GIA Team Builder Application and you have received your confirmation email, you can download the application below. Experience the energy created by the NEW GIA Team Builder iPad application that’s helping expand businesses from Australia, to New Zealand to the United States and beyond! 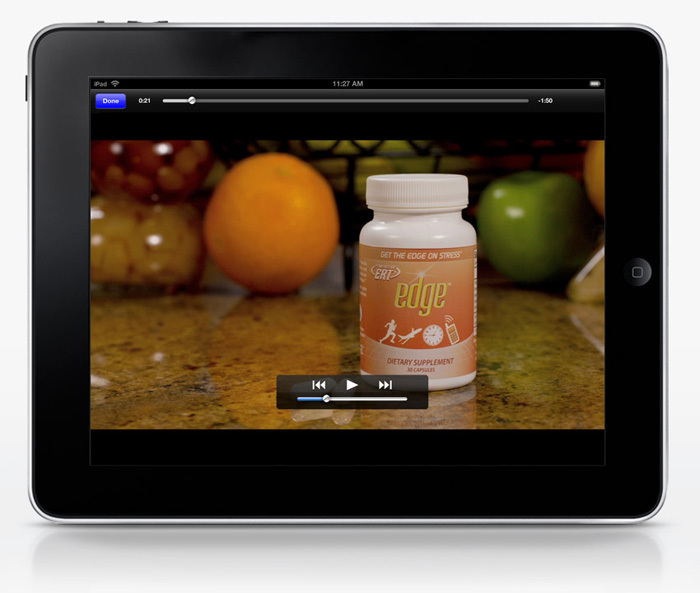 *Customized video containing “your name” is available for first 100 purchasers only. All Team Builder Packages after the initial 100 sold will contain a generic welcome video from GIA Co-CEOs Lynda Cormier-Hanser & Alfred Hanser. 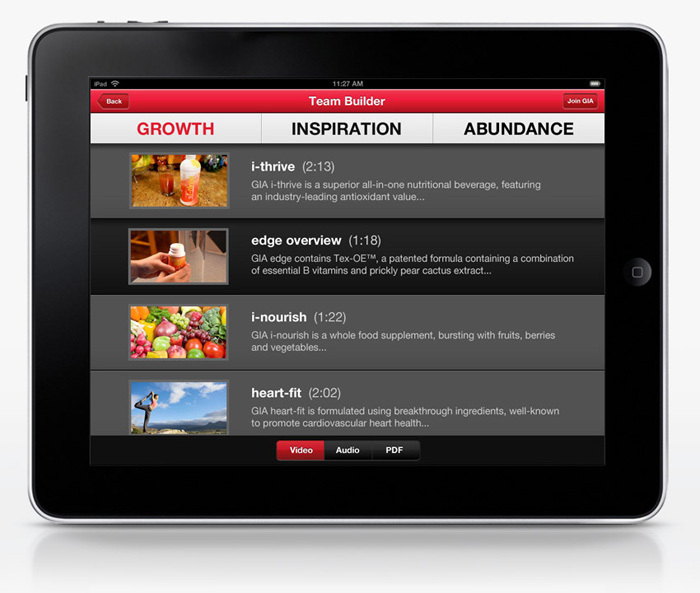 **Applicable only to GIA Wellness Consultants who subscribe to the Consultant Tools Suite. If the Team Builder Suite user does not have an active personal GIA Wellness website, the “Join GIA” feature cannot connect directly to your GIA Wellness Consultant account for signups.